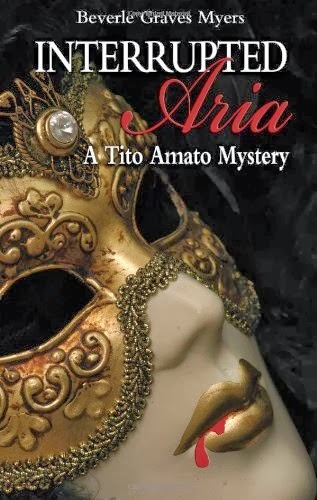 Interrupted Aria is the first book in a series of historical mysteries set in mid-late 1700s Venice, Italy, featuring an opera singer as the amateur detective. Tito Amato is no ordinary opera singer. He is a castrato, a male soprano, created by a surgeon's knife. His multi-octave voice has a power that female sopranos can only envy. The price? He can never marry in a Catholic ceremony, nor can he father children. 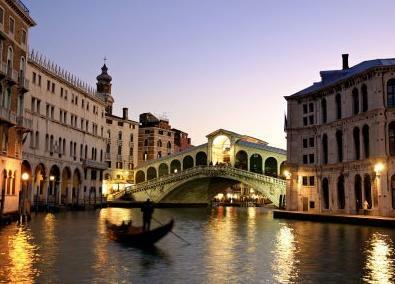 Bad luck that my first glimpse of Venice was marred by an insult. Felice and I kept our eyes carefully lowered to the sparkling green water of the lagoon. It was not as though we hadn't had our share of sneers and remarks since leaving Naples, but they still rankled. My friend and I were castrato singers. As young boys, we had been gelded for the sake our beautiful, soprano voices which had then been trained to the pinnacle of technical brilliance by the most exacting voice maestros in Italy. I have read the first five books in this series and I recommend them highly. The author is a wonderful writer who manages to create vivid characters set in an era long ago that comes to life in the writer's capable and erudite hands. Her wonderful imagination is a joy to behold. I look forward to reading the latest book in the series, Whispers of Vivaldi, which is to be the last book in the series. I especially respect the writer for writing the books in the 1st-person-narrative style, as if we were reading her character Tito Amato's memoirs about his amateur detective cases. So many writers these days use the 3rd-person-limited style (the "I" turned to "he"), that it is refreshing to read a book in an undisguised 1st-person-narrative style. It brings us closer to her unique protagonist. My favorite book in the series is the one published in 2009, Her Deadly Mischief. Here is a book teaser/trailer made for the release of that book. Venice, 1731. Opera is the popular entertainment of the day and the castrati are its reigning divas. Tito Amato, mutilated as a boy to preserve his enchanting soprano voice, returns to the city of his birth with his friend Felice, a castrato whose voice has failed. Disaster strikes Tito’s opera premier when the singer loses one beloved friend to poison and another to unjust accusation and arrest. Alarmed that the merchant--aristocrat who owns the theater is pressing the authorities to close the case, Tito races the executioner to find the real killer. The possible suspects could people the cast of one of his operas: a libertine nobleman and his spurned wife, a jealous soprano, an ambitious composer, and a patrician family bent on the theater’s ruin. 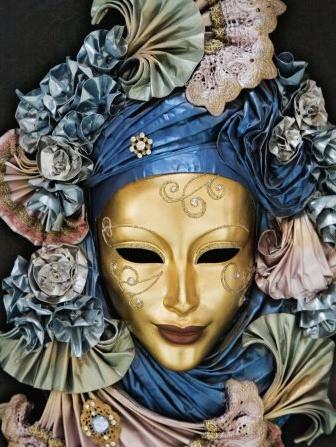 With carnival gaiety swirling around him and rousing Venetian passions to an ominous crescendo, Tito finds that the most astonishing secrets lurk behind the masks of his own family and friends. Visit the author's website for information on all the books, the author's blog, and information on a new series she is writing.